WALKSTRONG ~ www.walkstrong.ca: "Superstitious ... "
Are you superstitious? Or do you think it is all hogwash and laugh at others that are? 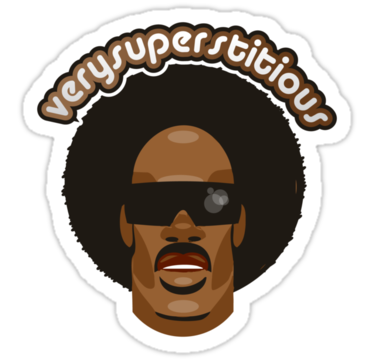 Well according to the dictionary, superstition is an “irrational belief arising from ignorance or fear”. Hmmm, doesn’t sound to healthy does it? People may not admit it but there are superstitions in many aspects of their lives ... even without knowing their origins. Think about it ... do you carry a lucky rabbits foot, gem or coin or knock on wood so that you don’t “jinx” the outcome of a statement? And sometimes it seems logical but most of the time it is outrageous, especially when it can control your life ... evil omens if a black cat crosses your path, opening an umbrella inside, finding four leaf closer, the number seven is lucky, the number thirteen is unlucky and deaths come in threes. So where do all these superstitions come from? Well anywhere really. I have read that most are from ancient pagan religions but I can tell you that we were surrounded by superstitions growing up. Not so much living in Canada but in India, there are many myths that rule how things may or may not work out. 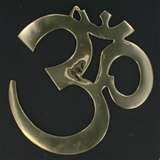 And I wouldn’t say it had much to do with “religion”, rather “synchronicity”. It was more the power in believing in “something”, supported by an ancient folklore. Many superstitious practices are due to the false interpretations of natural events. And curiosity regarding things that are hidden or are still in the future plays a considerable part. Yet believe it or not, stress supports this practice. When we feel very desperate to find reasons for misfortunes, it can help to hide mistakes by blaming luck and believing it can only be controlled by the Divine. New studies have revealed that stress makes people not only believe in rituals but also in conspiracy theories and as a result, they are more likely to “see” things that actually do not exist. When you feel little control in your life, you may desire to impose order and structure with the use of superstition. Worrying and ambiguity in your life feeds this behaviour. ... regardless I’ll cross my fingers just in case!
" The Enemy Within ... "
" The Age Of Worry ... "